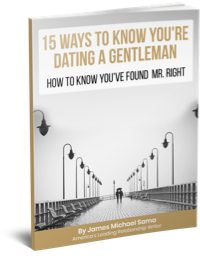 As someone who does his best to learn about and write on the topic(s) of what it takes to be a good man in today’s society – both in and out of relationships – I often turn to other publications for knowledge and inspiration. Men should be women’s protectors, not their assailants. Before I get told that women don’t ‘need’ men to protect them, I should make it clear that I completely understand that. My point is, we hear far too much these days about street harassment, abuse, and other big problems that are typically men targeting women. One of the most important things to me when I am with someone is that she feels safe and protected. Women are rarely assaulted by other women, so if it weren’t for violent men, they wouldn’t need protection in the first place. Emotional power is just as important as physical power. I lift weights just as much as the next guy. I do my best to stay [relatively] fit and I think it’s important to stay healthy and in good shape. Plus, suits fit better that way. But what isn’t necessary, is tying your entire sense of identity or masculinity to being stronger than the guy next to you at the gym. I don’t care what you can lift, I’d rather hear about how you are positively influencing the world around you. Go to the gym daily, yes. But also read books, visit museums, watch documentaries, travel, and expand your horizons in life. ‘Notches on your bedpost’ are meaningless. Some men find the love of their life in high school and never want to be with anyone else. 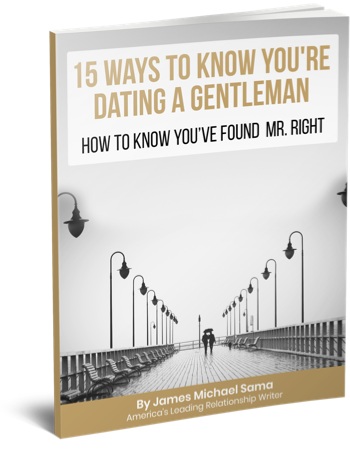 Some men go on tirades and try to accumulate the most notches in their bedpost before they settle down, and some men don’t ever settle down at all. Different men want to live different lives. They are inclined to be drawn to different lifestyles for one reason or another. At one time in my life maybe I would have been impressed by a man who had been with countless women, but as I mature I understand what is really important – how they were with them. How and if they loved them. How they treated them. Your conquests do not make you more of a man – in fact it takes more to commit to a woman and honor that commitment than it does to avoid feelings and sleep with anyone with two legs. Being a man doesn’t mean being emotionless. “Man up!” is a phrase often heard when a boy or a man becomes emotional about a situation. We are taught from birth that emotions are for girls and if we want to be a real man, we need to suppress these feelings and stay stone-faced. The fact of the matter is, it takes more strength to show your emotions than to hide them. It shows your willingness to be honest and true to yourself without fear of what other people are going to think. Men get sad, men get hurt, men get depressed – and that’s a perfectly natural part of life. The problem we should really be worried about in our boys and men is keeping these feelings below the surface. This habit is what causes real issues in the long term. A man without a set of values he lives by is like a ship at sea without a destination. He has no navigation system and floats through life without knowing what is really guiding him. Values, also, are meaningless if you don’t stand by them. If you see someone being bullied and are against it, say something. If you hear someone make a degrading joke about women and are against it, say something. If you are worried about sacrificing your values and integrity to keep the approval of the people you spend time with, perhaps it is time to spend time around different people. Be reliable, and true to your word. What kind of friend, boyfriend, or husband are you going to be if people can’t rely on you to be there when they need you? All relationships really are is being there for someone when they need you the most. Being flaky or inconsistent is often a mark of selfishness and shows a disregard for the feelings of others. An extension of the point regarding emotions – men shouldn’t feel insecure about being caring and compassionate towards others. Kindness is not a weakness, nor is it a liability. You can only truly support someone, stand by someone, and love someone, if you are willing to tie your emotions to theirs and stand by them through the good and the bad. Whether we are talking about a friendship or a significant other, this requires compassion. Take pride in how you present yourself. Fashion is much more often a woman’s concern than a man’s – this is clearly evidenced by the men in cargo shorts, t-shirts, and baseball caps you can find flooding bars in Boston during the summer. The truth is, some men actually care how they present themselves to the outside world and being interested in fashion on a personal or professional level in no way lessens a man’s masculinity. Manners, etiquette, class. Important but increasingly rare concepts. We see younger generations of boys not holding doors, not saying thank you to people, and just generally not being aware or considerate of their surroundings. While much of this is I’m sure caused by environment – parenting is also a big issue. Parents do not seem to be instilling respect for others in their sons (and daughters) as previous generations did. This means being chivalrous, respectful, and kindhearted. Understanding the importance of self-education. Interest in subjects like art, literature, and history are often looked at with a tilted head from the typical beer-chugging, too-tight-Polo-shirt-wearing “American bro.” Particularly important for boys growing up, it should be instilled in males of all ages that natural interests differ and none make you more or less of a man. Not everyone wants to get married, and not everyone wants to have children. But those who do are accepting one of the most important commitments life has to offer – a lifelong promise to stand by the woman in your life and to do your best to raise your children properly. Men who are good to their women are not “whipped,” they are committed. We have to stop putting negative terminology on positive qualities (actually being whipped is a different story). Too many men walk away when things get tough, are not there for their kids, or just find themselves trapped in a situation like this before they were really ready. If a man is going to step into the world of committing to someone and bringing new humans onto the planet, he better jump in with both feet. Men should be whatever the hell they are, and be proud of it. This may be the most important point. Few things infuriate me more than hearing about young children, both men and women, taking their own lives because they were bullied or ridiculed by their peers. It should not matter what your sexual orientation is, what your place of birth is, what your skin color is, or any other trait you carry which you did not choose – respect should be given to each human being equally. The only thing required to be a “real man” is the proper equipment. You are not some sort of ‘fake’ man if you are born gay or in any other capacity. We have to stop shaming boys and men for things they cannot control. We have to stop ostracizing boys who would rather go to art class instead of gym class. We have to stop associating masculinity with a certain image put forth by society, which can easily make many feel left out. A real man is who he is, and doesn’t care what anyone has to say about it. As a 55 year old woman who has been married for 30 years and mother of two young men, I find your perspective to be so accurate! I almost never disagree with your writings. You have an old soul…thanks and keep up the excellent work. Love it! One of your best articles ever. The more I hear women our age talking about dating, the more I’m so thankful I found the love of my life at such a young age & am already married to him. There definitely aren’t enough of the men you describe here in the world, but there are also way too many women who are setting their standards far too low . . . Sadly, both just feed each other in one big negative cycle. No wonder why you have a happy and successful marriage. Men would be wise to take your advice. Thanks Ashley, but I’m not married…someday! Home run, James! One of your best! What a beautifully written post and so very true. Sadly the men that should be reading it probably won’t. They are too busy avoiding the issues and plodding along ignorant of their faults. 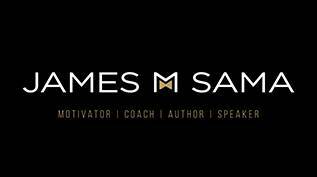 Only those who truly want to develop and reach true maturity will take the time…Bravo James…The world needs more of these truths.